Retrograde Video. VHS Tape Overlay. Video Game Music. Influenced by the sound of 80’s games. 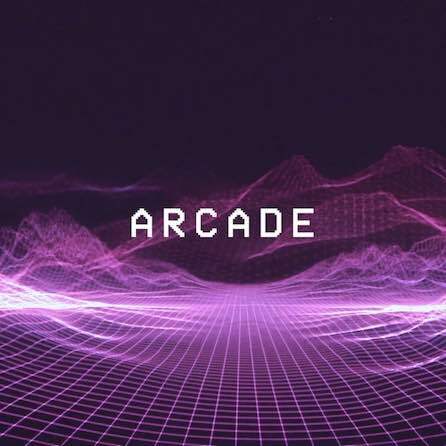 - Based on video game flight virtual reality with vhs tape overlay effect to obtain a retrograde video inspired by arcade games. The vhs tape overlay effect are in perfect sync with the synth bass to obtain an awesome over effect on this video game style music. Enjoy it! Retrograde Video. Video Game Music. Influenced by the sound of 80’s games. - Based on Back to the Future movie concept. The graphics text remember an arcade video game. You can see here an awesome animation by Florian Renner: florian-renner.com. Get ready! "Video game music is the soundtrack that accompanies video games. Early video game music was once limited to simple melodies of early sound synthesizer technology. These limitations inspired the style of music known as chiptunes, which combines simple melodic styles with more complex patterns or traditional music styles, and became the most popular sound of the first video games." "With advances in technology, video game music has now grown to include the same breadth and complexity associated with television and film scores, allowing for much more creative freedom. While simple synthesizer pieces are still common, game music now includes full orchestral pieces and popular music. Music in video games can be heard over a game’s title screen, options menu, and bonus content, as well as during the entire gameplay. Today’s soundtracks can also change depending on a player’s actions or situation, such as indicating missed actions in rhythm games." "Video game music can be one of two options: original or licensed. In order to create or collect this music, teams of composers, music directors, and music supervisors must work with the game developers and game publishers." "Many of the most notable original game composers have been from Japan, including Nobuo Uematsu, Koji Kondo, Yuzo Koshiro, Yoko Shimomura, Junichi Masuda, Hip Tanaka, Masato Nakamura, Koichi Sugiyama, Yasunori Mitsuda, Michiru Yamane, Yuu Miyake, Takenobu Mitsuyoshi, Manabu Namiki, Shinji Hosoe, and Hiroshi Kawaguchi. Notable Western game composers working today include Jeremy Soule, Jesper Kyd, Marty O' Donnell, Jason Graves, Austin Wintory, James Hannigan, Garry Schyman, and Peter McConnell, some of whom work in film and television alongside video games. Today, original composition has included the work of film composers Harry Gregson-Williams, Trent Reznor, Hans Zimmer, Mark Rutherford, Josh Mancell, Steve Jablonsky, and Michael Giacchino." "The popularity of video game music has expanded education and job opportunities, generated awards, and allowed video game soundtracks to be commercially sold and performed in concert." Retrograde Video. VHS Tape Overlay. Video Game Music. Influenced by the sound of 80’s games.